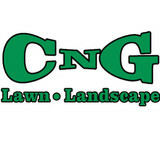 CNG Landscaping began as a part time business in 2007. The owner after having worked for years for other companies felt it was time to offer customers quality service at a fair price. Within a short period of time the business grew with the only advertising being referrals. Our first customers spread the word that CNG was committed to its customers and brought us more customers. As CNG grew we made changes and became a LLC company. Ownership and commitment remainder the same. CNG Landscaping expanded and acquired additional equipment and offered more services. CNG Landscaping expanded to offer snow removal to its customers in 2013. CNG became a full time commitment in 2012 and continues to grow with the assistance of our customers. Our goal is to provide quality service at a fair price. We do not believe in selling a service that is not needed. 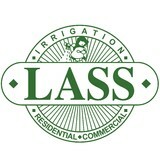 We only charge for the actual service and product that is provided to the customer. 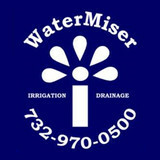 For 20 years, our team of knowledgeable technicians have been providing customers with dependable service on the finest quality sprinkler installations, drainage solutions, and state of the art products for all repairs. Since it was founded, WaterMiser has set itself apart from the competition by keeping it simple and offering a level of trustworthiness not often found in the service industry today. In addition to the maintenance side of gardening, Garden City Park, NY gardeners can help you with garden design and choosing specific plants and grass types for your climate and area. Find a Garden City Park, NY gardener on Houzz. 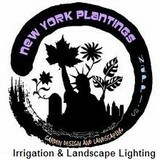 Narrow your search in the Professionals section of the website to Garden City Park, NY gardeners. You can also look through Garden City Park, NY photos to find examples of yards that you like, then contact the New York contractor who worked on them.